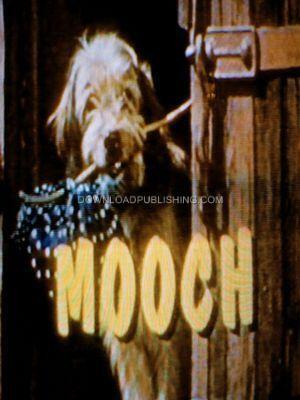 A dog named Mooch hops a train and arrives in Hollywood to become a Movie Star. Zsa Zsa Gabor narrates the movie and gives Mooch advice on how to get noticed in hollywood. Mooch also gets advice from many of Hollywoods Great Actors. This is a great movie for the kids. Fun Family entertainment for all dog lovers. Higgins the Dog is the star of the movie and later also stared in the movie Benji.